Are you ready to hit the jackpots this summer? Stop by Lochte Feed for all your Sheep and Goat Show supplies needs. Keep your sheep and goat at their best year around with Weaver leather leg wraps, halters, and ProCool Blankets. 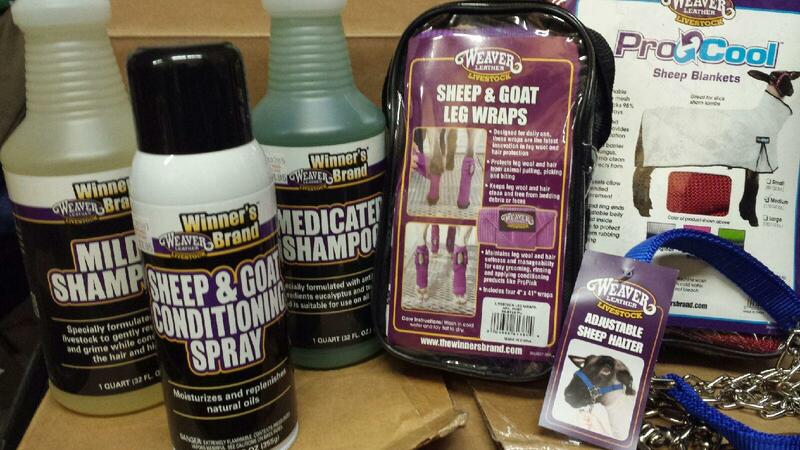 We also carry Mild Shampoo, Medicated Shampoo and Sheep and Goat Conditioning spray to keep your goat or sheep show ready. Come by Lochte Feed and let us help you raise a champion. If you have any questions about this product or any of our other products, please give us a call or stop by the store today! This entry was posted on Wednesday, July 12th, 2017 at 4:29 pm	and is filed under News & Updates. You can follow any responses to this entry through the RSS 2.0 feed. Both comments and pings are currently closed.